Academic credentials may not be the most important factor. 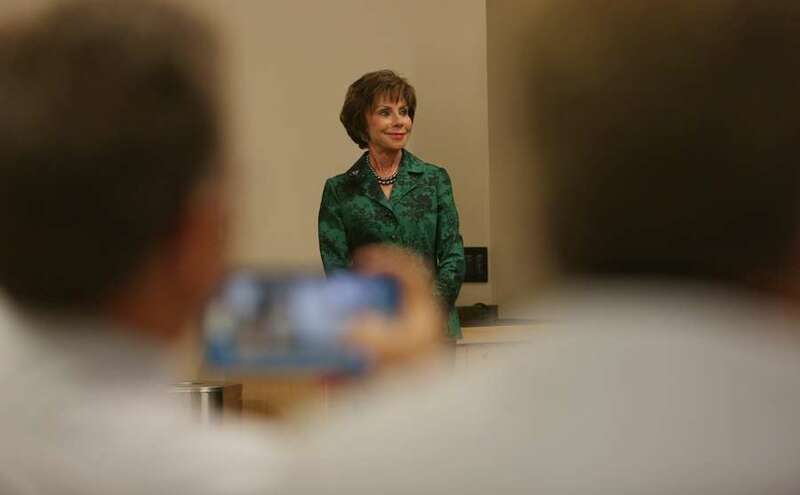 TALLAHASSEE — The Judy Genshaft era at the University of South Florida won't formally end until next July, but the scramble is on to land her successor. University presidents in Florida are chosen in a politically-charged atmosphere that values Tallahassee connections and the ability to raise money just as much as academic credentials. "They're looking for someone who has great skills at communicating with the Legislature," said Darryl Paulson, professor emeritus of political science at USF St. Petersburg. "Great academic credentials? That really doesn't matter any more. It's a political process." The USF search will be watched closely by Florida business and political leaders. It will unfold at a critical time in the history of a school that began life in 1955, without a mascot or a student dormitory. USF has made major strides in its long-sought path to "pre-eminence," which brings prestige and state money. It is aggressively conducting research that can lead to lucrative patents and is consolidating campuses, building a downtown Tampa medical school and trying to elevate an athletic program in a state devoted to the Seminoles and Gators. "They're at the most unique time in their history," said Rep. Chris Sprowls, R-Palm Harbor. "The rocket ship is in space. Who's going to land it on the dark side of the moon?" Susan MacManus, who recently retired after a long tenure as a USF political science professor, predicted a national search that will end with an outsider, "someone who can continue increasing USF's national reputation, someone who's been successful bringing another institution up in its national rankings." Rep. Shawn Harrison, R-Tampa, a USF alumnus whose district includes the university, wants "Judy 2.0," a leader who can make a campus football stadium a reality. The next USF president might be an academic who's worlds away, but history suggests it might also be a member of the Legislature or a home-grown political leader who can secure millions from the state Capitol. The search will be in the hands of 11 people on USF's board of trustees, most of them with political ties to Gov. Rick Scott. Scott appoints six trustees; the other five are appointed by the Board of Governors of higher education, who also are Scott appointees. It will all begin in the thick of an unpredictable, potentially historic race for governor between Republican Ron DeSantis and Democrat Andrew Gillum. Who wins the governor's race will likely be a critical factor in the selection process, and in the current reality, it probably should be, because the political leadership of the state is changing and USF will want a leader who'll be well-received in the governor's office. There was criticism in some quarters when Florida State University chose as its president John Thrasher, a former House speaker, lobbyist and Republican Party leader. But if some questioned this lawyer's academic credentials, his devotion to his alma mater was not in doubt, and he has drawn praise for his achievements. Florida State climbed seven spots to 26th in the latest national rankings of public universities in U.S. News & World Report. The University of Florida now ranks eighth nationally and USF jumped 10 spots to 58th. Years before Thrasher became FSU president, the school was led by T.K. Wetherell, an educator with a Ph.D. who also was a skillful political deal-maker. Frank Brogan, a state education commissioner-turned-lieutenant governor, left Gov. Jeb Bush's side in 2003 to run Florida Atlantic University in Boca Raton, and former Jacksonville Mayor John Delaney recently retired after years as president of the University of North Florida. Genshaft has had a remarkably long run. Eighteen years is an eternity as a leader of a public university, and it's worth noting she came from New York state, with no established political network here. Sen. Bill Galvano, R-Bradenton, the likely incoming Senate president and a leader on higher education issues, said: "A person at the helm of a university should know how to build coalitions, be politically savvy and raise significant dollars — and Judy Genshaft was all three." Times correspondent William March contributed to this report.